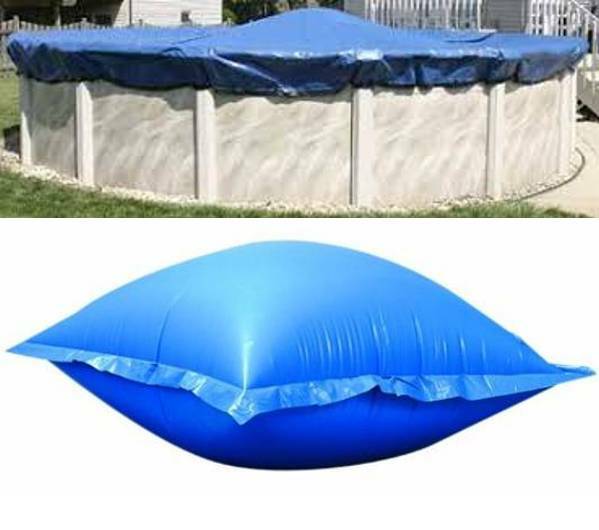 Winter Swimming Pool Covers are a real convenience to protect your above ground swimming pool from debris and dirt. Installing a swimming pool winter cover will put your mind at ease that your pool will be free of all those nasty leaves, twigs and other debris.. Winter covers can prevent squirrels, pets, and other small animals from falling in your pool when they try to take a drink of water. Our huge selection of winter pool coverings is sure to have the perfect option for your needs, with comprehensive choices for both in ground and above ground pool covers. If you're not sure which option to pick, please give us a call, we are here to help. A cable and winch is used for securing the winter cover on top of the pool. 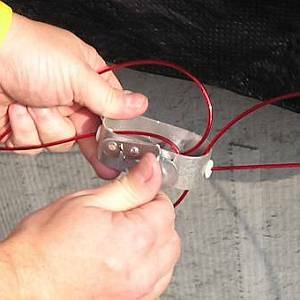 It is a nylon covered steel cable, that you thread through the grommets in the cover and then thread both ends of the cable through the winch. 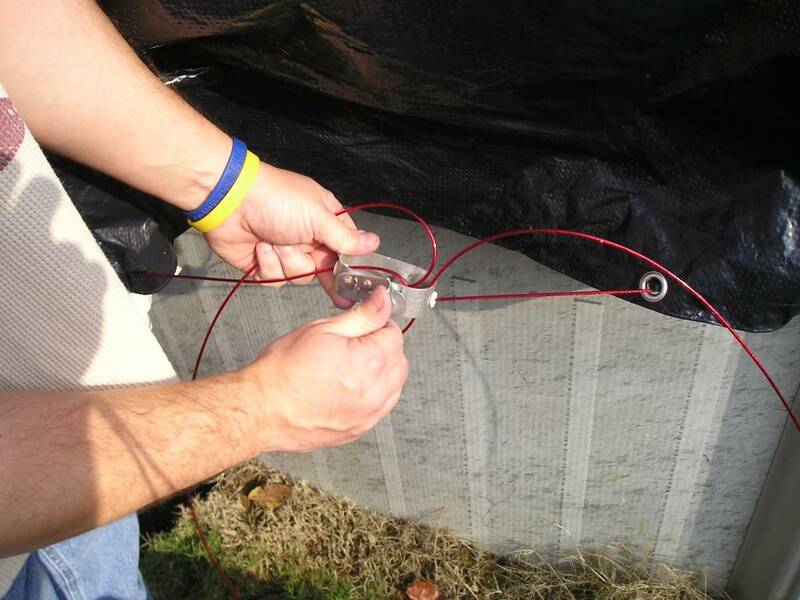 Pull the cable all the way around the pool then wind the hand crank and tighten the cable. 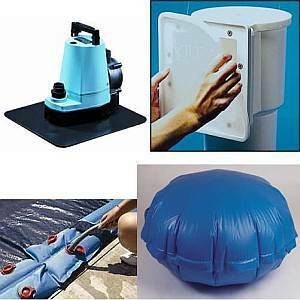 In areas of the country where ice forms1/2" or deeper, it is highly recommended that use of a floation device, like and air pillow, beach ball, foam float is used under the cover to mitigate ice damage to the liner. They are NOT to use to "tent" up the cover to shed water. 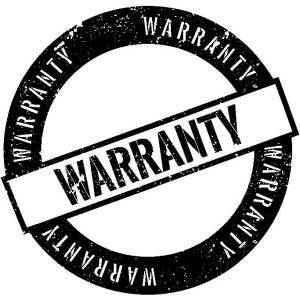 Tenting raises cover and exposes it to unwanted wind damage and is not intended to be used that way and could possibly void the warranty. When choosing a cover, you look for them by your pool's ACTUAL SIZE. The cover that you get will be bigger than your pool by 3 or 4 feet (depending on which cover you order and varies by manufacturer). For example if your pool is 24ft round you would choose that size and choose one of the covers listed on that page. The actual size of the cover will be 28 foot round for a pool that is 24 foot round. Click below on the ACTUAL size of your above ground pool to see all available winter covers and pricing. If your size is not listed, choose the next largest size.